START by preparing the dressing, no need to buy fancy dressings from the store. 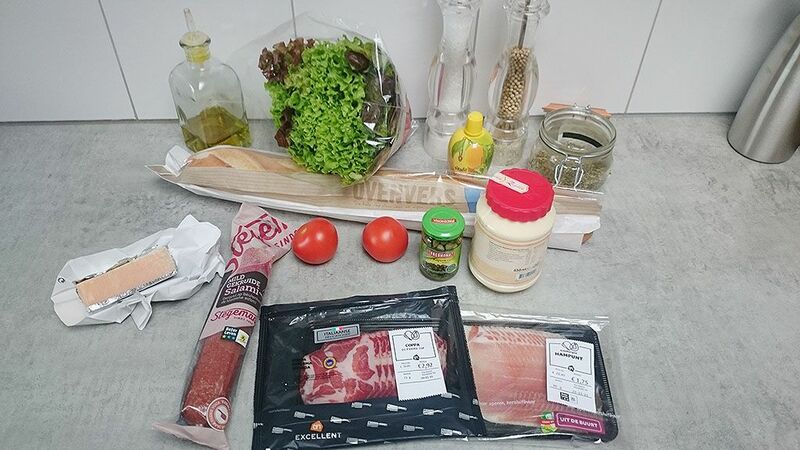 We’re going to make our own dressing for this amazing Italian sub! GRAB a bowl and a whisk and pour in 1/2 tablespoon of lemon juice. The lemon juice does not have to be freshly pressed. ADD in 2 teaspoons of capers and 3 tablespoons of olive oil. WHISK together, then add in 2 tablespoons of full fat mayonnaise and 1 tablespoon of dried Italian herbs. MIX together until nice and smooth. If you notice that the dressing is not very solid, add more mayonnaise and mix well. CUT 1/2 a salami stick into thin slices and set aside. WASH and cut the tomatoes into slices. 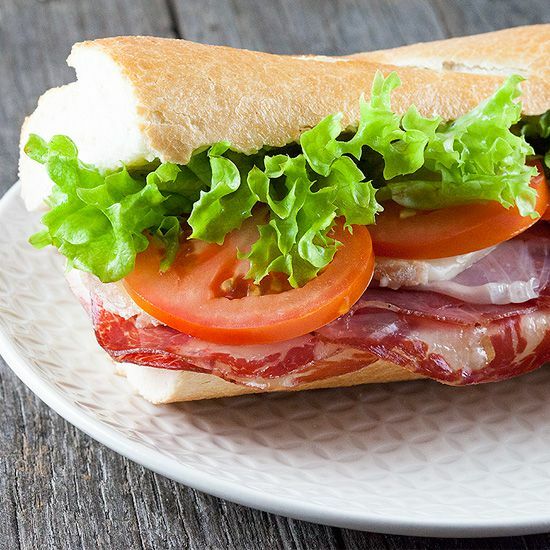 CUT the white French baguette into 3 equal parts and divide salami slices, 3 slices of coppa di parma, 3 slices of dried ham and 3 slices of soft Italian cheese on each sub half, this means that you’ll have to keep the sub tops aside. MAKE sure you place the soft cheese on top, so it will melt all over the meats when grilled. TOAST the sub halves for 3 minutes on maximum grill setting. 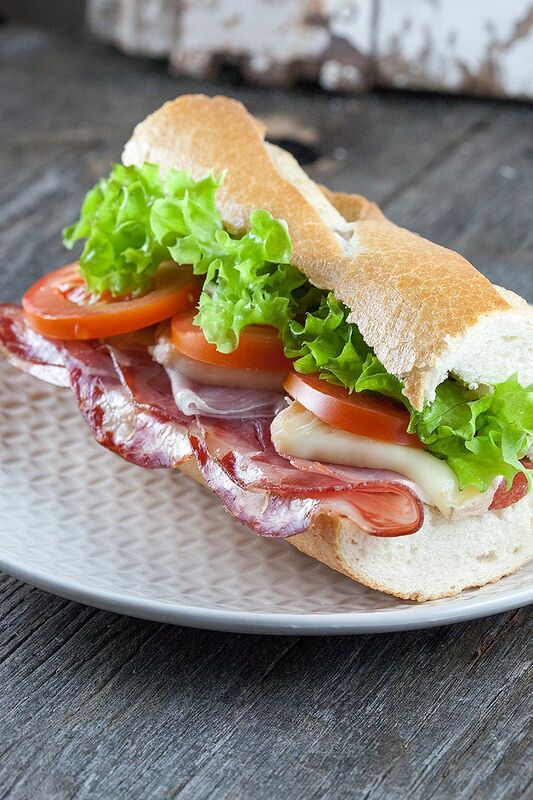 REMOVE the toasted bread from your oven and divide tomato slices and lettuce over the 3 subs. COAT the top halves with the dressing, we found that using the back side of a spoon does the job very well. ADD salt and pepper to liking, then place the top part onto the toasted bottom part. 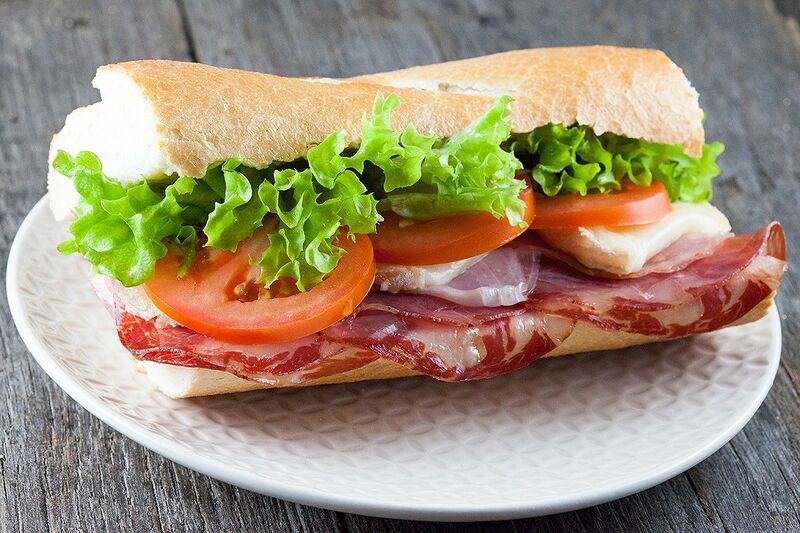 Enjoy your toasted Italian sub!